Elizabeth Wilson, RN, BSN, OCN, MSN, FNP-BC, an Oncology Family Nurse Practitioner, has been honored with Beebe Medical Center’s employee “You make a Difference” Award for September. Staff and patients at Beebe Medical Center and at its outpatient facility Tunnell Cancer Center recognize that Liz makes a difference in the lives of patients and their families every day. Liz sees patients both as inpatients in the hospital and at Tunnell Cancer Center. She often is confronted with very difficult, end-of-life situations in which she helps patients and families, in a caring and compassionate manner, to understand the complexities of what the future may hold. With warmth and kindness, she helps to navigate them through the emotional process, providing them with choices, along with exceptional oncology-related care. Her days often are long as she spends time in the hospital caring for her patients. She has an excellent bedside manner and is the patient’s best advocate. Her peers that nominated her for the award remember that sadly, there was a patient dying of cancer who had a large family. The family members were divided on how to pursue their loved one’s end-of-life options. She stayed with them, providing support until they all agreed to take the patient home with hospice care. Similarly, she had another patient who was actively dying and about to be transferred to the Hospice Center. At the family’s request, she stopped the transfer to allow the patient to pass away at the hospital just a few hours later. Liz, a graduate of Beebe School of Nursing, has been a nurse at Tunnell Cancer Center for eight years. 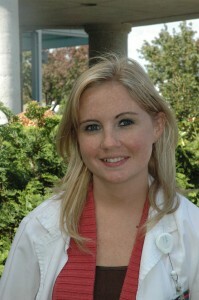 She earned her Family Nurse Practitioner certification in 2011. Beebe Medical Center staff members have voiced their appreciation for all that Liz does for the Tunnell Cancer Center’s patients and family members. She truly makes a difference to the lives of our patients, their families, and to the entire community. Caption: Liz Wilson earns Beebe Medical Center’s “You Make a Difference” Award for September.